Located just off the lobby, The Perch is the perfect place to grab your favorite drink, charge your phone and gather with friends, co-workers or locals. Catch the game on one of our flat-screen TV's, enjoy a classic hand-crafted cocktail or a brew from our ever changing offerings on tap, or just unwind and meet up with friends. A popular spot for guests and locals, The Perch offers up a rotating selection of craft brews including beer locally brewed by Uncle Bears Brewing Company. 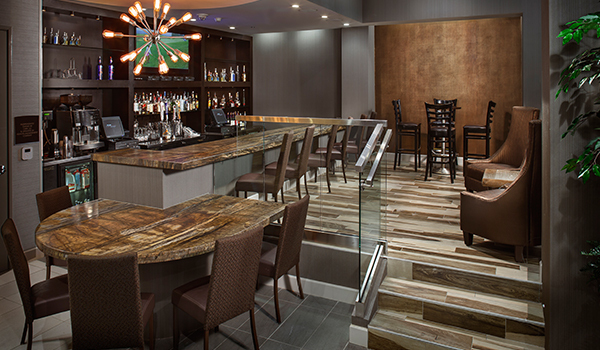 Start, spend, or end your evening enjoying the ambiance of this modern, swanky gathering spot at the Crowne Plaza Phoenix Airport.